Blue Tide Communications, a division of ESSI Corp. provides VSAT service on Hughes Maritime Broadband Services using a Hughes HX200 modem. 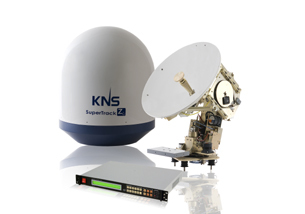 The service can be used with antennas as small as 60cm like the KNS/Azimuth Unlimited Z6MkII or the Intellian v60. Of course, larger antennas like SeaTel 4006/4009 can also be used. 18548 visits to this page since 28 Nov 2012.